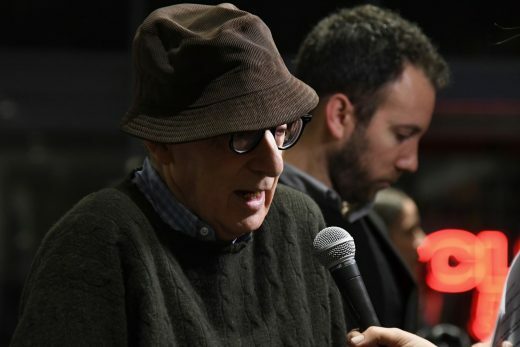 Woody Allen filed a $68 million lawsuit against Amazon Studios today. The suit, filed with the Southern District Court of New York, claims Amazon backed out of a multi-film agreement with the controversial director over what Allen calls a “25-year-old, baseless allegation” stemming from accusations of sexual assault and abuse that have been levied against him by his daughter, Dylan Farrow. Allen’s action against Amazon Studios comes after the company decided to shelve his film A Rainy Day in New York. The romantic comedy starring Timothée Chalamet, Selena Gomez, Jude Law and Elle Fanning has been complete for more than six months, but Amazon has declined to distribute it. The company hasn’t set a release date for the project, which it paid $15 million to secure the rights for. Amazon also struggled to find theatrical distribution for Allen’s 2016 film Wonder Wheel. The film came out while Allen was once again under scrutiny for sexual assault allegations, making the director’s work toxic to most parties. Amazon Studios entered into an agreement with Allen back in 2016 that was supposed to cover five films and a TV show. The company has since reneged on that agreement, though has not commented publicly on it. Allen claims there is “no legal basis” for Amazon Studios’ decision and contends that the allegeations against him were known at the time the initial agreement was reached.